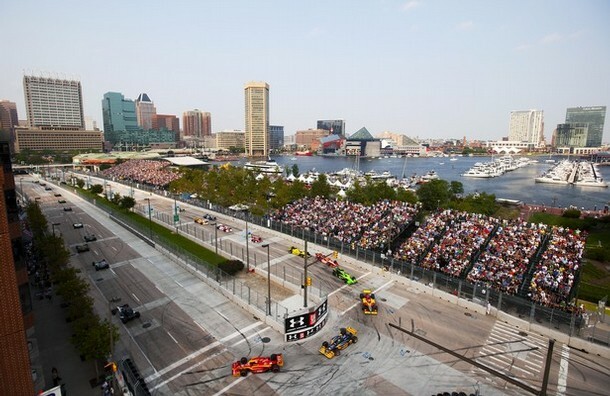 After months and months of waiting, the Baltimore Grand Prix finally made its much anticipated debut this past weekend. Instead of rush hour gridlocks, we saw cars racing at speeds of 100+ MPH. The three-day event got underway on Friday with practice rounds and qualifying. As with any inaugural event, there were some bumps in the road, but organizers worked to get everything up and running as fast as possible. 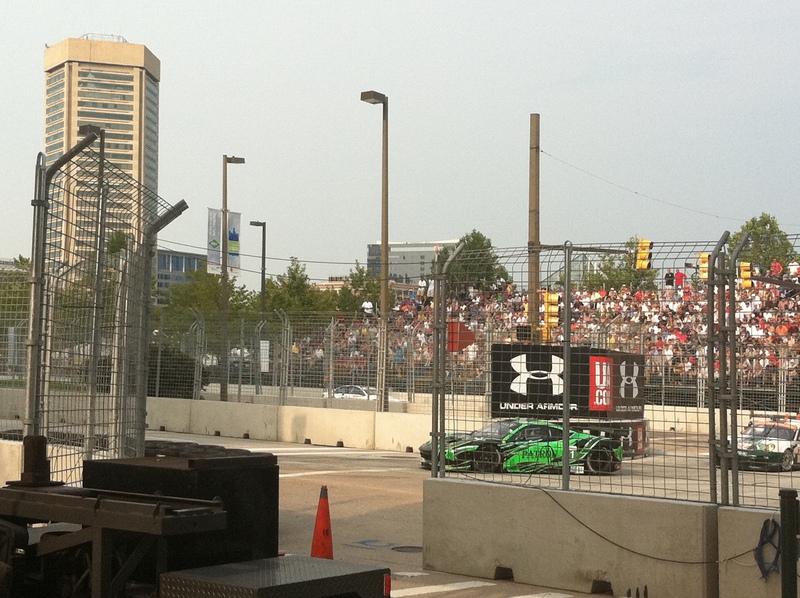 After about a six-hour delay due to fencing issues, the event was back on track and cars were zooming around the streets of downtown Baltimore. Even though there was a significant delay, race goers found plenty of entertainment to keep them occupied. The paddocks were open to anyone with a ticket on Friday only, so everyone could get to see their favorite Indy cars up close and personal. Some of the drivers were around signing autographs, as well. The paddock wasn’t the only option for ticket holders. There was live music, games and kiosks in the Family Fun Zone, bars and party areas and even go-kart racing at the Dr. Pepper Test Track. Some people were having so much fun at all the different areas inside the course that they barely even noticed when the cars eventually hit the track. The 2.4 mile course encompassed a nice chunk of downtown real estate, leaving plenty of roaming room inside the infield area. Friday saw an estimated crowd of around 45,000 people, and the numbers grew every day. There was something to do at every turn while walking around the infield, and people were definitely engaging in all the activities. The grandstands that dotted the course were packed solid by the time Sunday rolled around. As the weekend progressed, the racing got much more intense. We saw some of our first crashes on Friday in the practice rounds, but the biggest one came on Sunday morning during warm-ups. Tony Kanaan’s car lost its brakes going into Turn 1, and he hit and flew over Helio Castroneves. It was a very scary crash, but everyone ended up being OK. Because of the crash, both drivers ended up using back-up cars for the race, which put them at the back of the pack. Turn 3 also proved to be a bit challenging for the drivers on Sunday. The hairpin turn on Light Street caused two separate crashes during the Indy Lights race, taking out the race leader with only a few laps left. It also caused a major back up during the IndyCar race. Ryan Briscoe clipped Ryan Hunter-Reay in lap 38 causing an 11-car pileup and a course-wide caution. The top 3 cars, at that point, got out unscathed, but the wreck wreaked havoc on the running order of the rest of the pack. Australian driver Will Power took the checkered flag for his sixth victory this season. 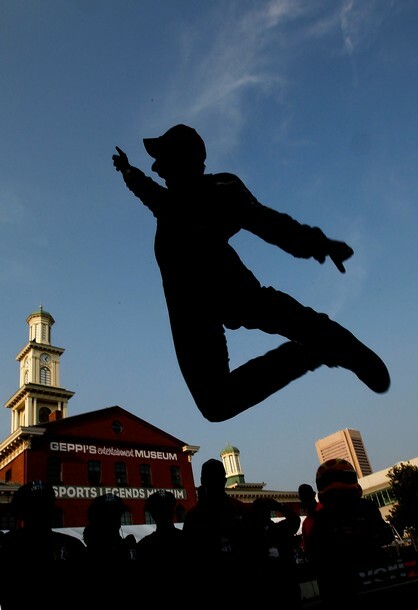 In second was Oriol Servia (by the way, what a great name to finish on the podium in Baltimore, eh? ), and, after crashing earlier in the day and starting last, Tony Kanaan took third. 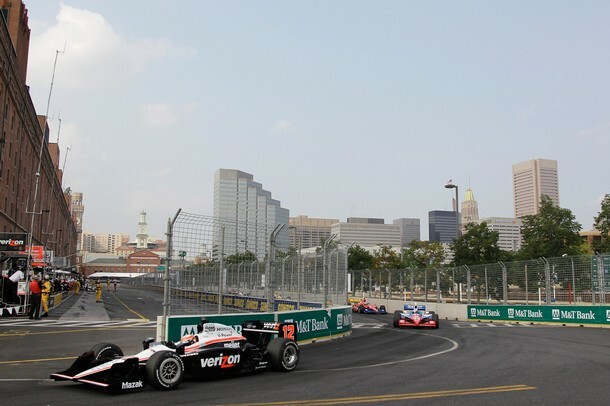 After the race, drivers raved about the course, the city and the fans. Power commented on the packed grandstands he passed on his victory lap, and how he had never experienced a winner’s circle quite like the one in Baltimore. He said he felt like a rock star up on stage in front of thousands of people. Other drivers, like Simona de Silvestro, praised the road course and commented on how much she enjoyed the city. 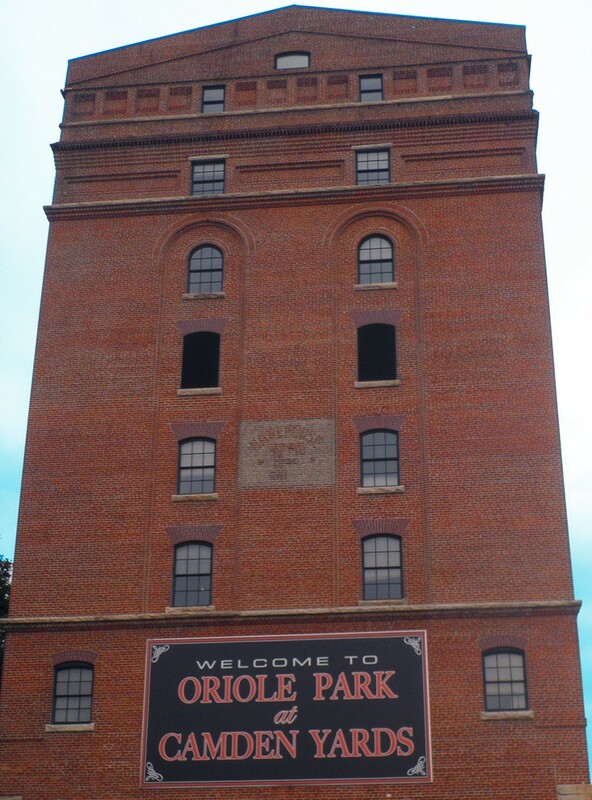 Overall, the event was deemed a success by the drivers and Mayor Stephanie Rawlings-Blake. Even though there were some bumps in the road, the event was enjoyed by many. The initial estimate is that 150,000 people passed through the gates this weekend. We’ll have more solid numbers at a later date, but based on the initial estimates, the Grand Prix looks like it was an excellent event for the city and the state.